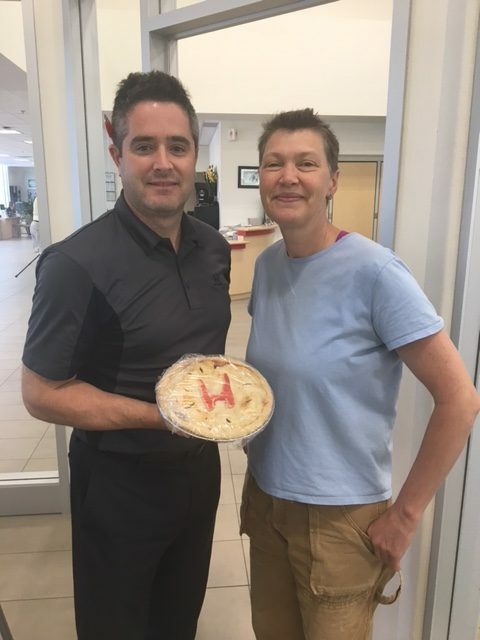 Dow Honda | News | A Happy Customer and a Honda Pie! A Happy Customer and a Honda Pie! When Ben’s customer came to pick up her new car today, she brought us a great treat! She brought us this delicious, Honda themed pie! We all wanted to say “thanks” for the creative and thoughtful gift. If you would like to contact us, click here! To book a test drive, click here! To book a Service appointment, click here!